The headlines in British media this week might have given some readers the impression they were not living in the democratic West, but in Communist China. Over the weekend the Sunday Times revealed government plans to introduce laws which would allow authorities to extend surveillance on the general public by creating a log of telephone calls, e-mails and websites visited. 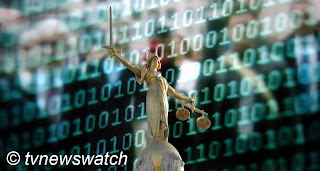 The proposals were criticised for pushing the boundaries of government surveillance too far with some likening them to restrictions seen in authoritarian regimes like China and Iran [tvnewswatch: Britain to increase data surveillance]. With the furore growing, the government appeared to make a U-turn with Deputy Prime Minister Nick Clegg saying that instead of full legislation ministers will only publish its plans “in draft”, meaning a lengthy delay and greater scope for changes. On Tuesday night the Deputy PM went further in order to placate critics, saying that civil rights groups will be given a chance to challenge government plans to give the security services new access to Internet data. "I saw the appalling populist excesses of authoritarian home secretaries, like John Reid, under Labour. This total casual disregard for people who care about privacy and civil liberties – I am not going to allow this government to make the same mistake," Clegg told the Guardian. The concessions could delay the proposals for at least a year, and have been broadly welcomed by Liberal Democrats who have expressed concern over the plans. Nick Pickles of Big Brother Watch described the latest statement by Nick Clegg as a clear U-turn and said it was a victory for those who care about privacy. “This is a victory for everyone who cares not only about privacy, but living in a country where the Government does not put every one of its citizens under surveillance,” Pickles said. There were other concerns this week over proposals to allow more ‘secret courts’ to be held. Justice Secretary Ken Clarke says such proceedings would only be held if there was a threat to national security, but critics claim there are not enough safeguards. Nick Clegg says he will oppose any moves to introduce new laws which he said would "ride roughshod over the principles of open justice". The reforms are said to be aimed at improving the way information from the security and intelligence services, MI5 and MI6, is handled while still protecting national security. In defence of the proposals Ken Clarke insisted that “all we get is total silence at the moment” in an open court, but by holding sessions in camera details of a case could be scrutinised by a judge. But the argument has not been accepted by a number of MPs and human rights’ campaigners who have attacked the measures as being “inherently unfair” and “dangerous”. While most court sessions would likely be unaffected by the new legislation, campaigners believe it could be used to further restrict public access to Britain’s judicial proceedings. For some it seemed as though Britain was beginning to establish a more opaque judicial system seen in countries like China where access to court proceedings are highly restricted. In the People's Republic of China, the vast majority of court decisions or cases are not published or made available to the public, although the system of justice has become more transparent in recent years with the publishing of more legal materials. China exerts strong pressure on the courts in cases to which they believe there is a national policy interest at stake, or to which they believe are politically sensitive. Despite China's recent revisions of criminal law, criminal procedure, civil law, and civil procedure, trials are often closed, conducted days after charges are filed, or even months or years later. Lawyers have been known to have been kept from their clients, or even kept from attending such politically sensitive trials altogether. Intimidation is also known to play a role, and many lawyers are unwilling to take on clients involved in trials considered sensitive, in order to protect their legal careers. Such extreme measures of denying access to lawyers has not been proposed, nor has there been a move to restrict access in anything other than cases deemed to be a risk to national security. However, critics question who is to make the decision as to what is or is not a matter of national security. But advocates insist the changes are needed. “The current system does not work,” Lord Carlile, a former independent reviewer of terrorism legislation, told Sky News. “We’ve had situations where damages have been paid to individuals where people were not able to give evidence before court that would have otherwise proved their innocence,” he said. Even if necessary, the hiding of proceedings will undoubtedly create suspicions in certain sectors of society, and may even serve to boost radical propaganda or stir rumours. But both sides of the debate raise important issues. While the debate of secret court sessions continued, a meeting of two Chinese visitors to Scotland was held in camera after the webcams trained on Tian Tian [添添 Sweetie] and Yang Guang [阳光 - Sunshine] was switched off. The reason for the sudden censorship was not to hide sensitive intelligence information but to hide the blushes of the two pandas who keepers hope will mate. The PandaCam went blank on Tuesday as Edinburgh Zoo opened a so-called ‘Love Tunnel’ between the enclosures of the two pandas. The shutting off of the webcam has certainly disappointed some [Telegraph] although Edinburgh Zoo is considering streaming any subsequent birth of its first baby panda live on the Internet. The female is only fertile for two or three days per year and given the animals are only on loan for 10 years, there are only a few chances for the pair to begin a family [BBC / Daily Mail]. Should they bring a baby panda into the world, this would be far more welcome than imports of Chinese style surveillance or court systems.